Home > Blog > Events > B-b-b-bird, bird, bird, b-bird’s the word! That’s right folks. 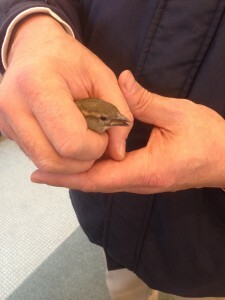 For anyone present during conference today we had a visit from a chilly sparrow. Thanks to campus safety for keeping him or her safe. And thanks to Helena for taking this great picture!